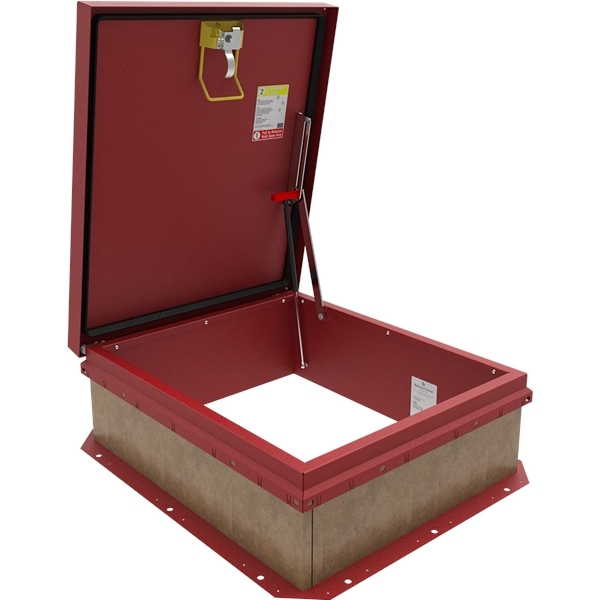 The stock standard, Personnel II Roof Hatch is redesigned with OSHA life safety in mind and provides easy access to roof areas. Available in select models, it’s simple to install and operate. GAS SPRING OPERATION1 Easy open and close - designed for smooth, one handed operation to comply with OSHA safety standards. CLEAR LABELING2 Color coordinated labels clearly identify safety yellow pull down handle and red hold open arm release.